You are here: Home / Headlines / Cell Biology and Signalling / 5 most popular pathways in 2014! Autophagy is the process of “self-cannibalization” of cellular proteins or organelles through lysosomal degradation. In this post, you’ll find a selection of quality research antibodies related to this pathway. Reliable markers for hypoxia represent both valuable diagnostic markers and potential targets for investigation. Here’s a panel of primary antibodies related to this pathway. Take a look here at a selection of 100% guaranteed research antibodies related to the AKT pathway. The Notch signaling pathway plays a vital role in the regulation of asymmetric cell division, cell fate specification and proliferation. Learn more about it and the antibodies related to it in this post. NF-κB (Nuclear Factor κ-light-chain-enhancer of activated B cells) is a protein complex that controls the transcription of DNA. 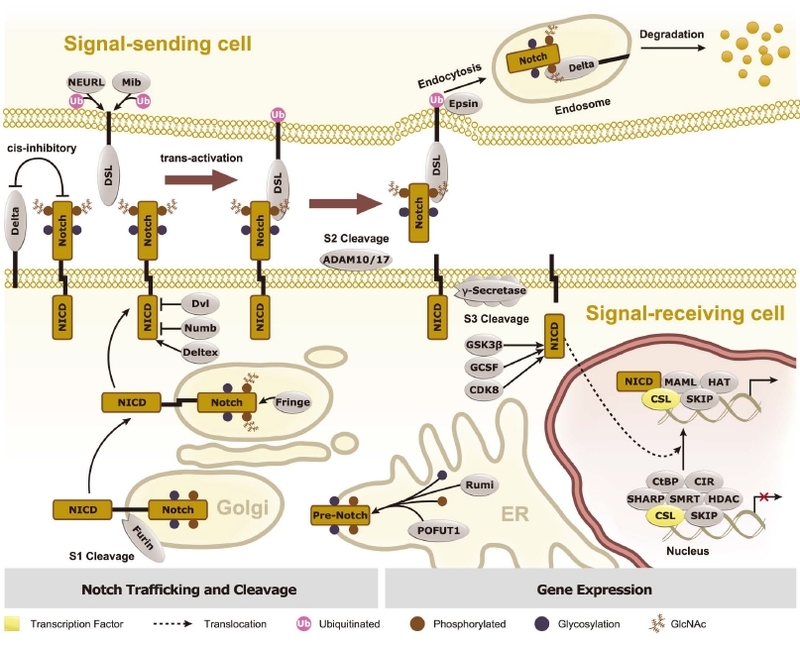 Here’s the updated version of the NF-κB cell signaling pathway. Looking for a specific intracellular cell signaling pathway? Our experts regularly cover new and updated pathways to support you in your research. If you’re looking for a specific pathway, don’t hesitate to ask your questions below!